Sullivan County, NY - Four days after a New Jersey man was found murdered in a Jewish bungalow colony, a Monticello man has been arrested and is behind bars. Sullivan County Undersheriff Eric Chaboty told VIN News that the body of John Ferrari Jr. was found on Friday afternoon at the Pardess Bungalow Colony on Old Liberty Road in Monticello. The 61 year old Ferrari, a resident of River Vale, worked as a caretaker at the colony. According to reports in the Times Herald Record he had last been seen on Wednesday. 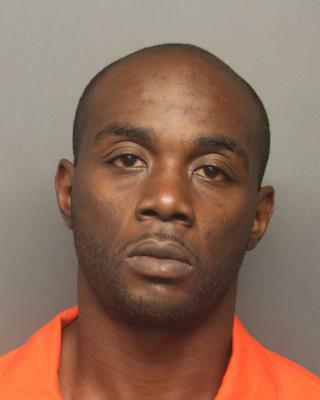 Deputies with the sheriff’s office arrested 36 year old Rickey Bolden Jr. of Monticello on Monday. He was arraigned Monday night before Judge Martin Miller in Thompson town court on charges of second degree murder and was remanded to the Sullivan County jail in Monticello without bail. Chaboty declined to release any further details due to the nature of the ongoing investigation but reports on Mid Hudson News said that Ferrari appears to have been struck, possibly with a shovel. Bolden is not unknown to the Monticello Village Police Department. He was arrested in 2005 on four counts of felony criminal sale of a controlled substance in the third degree for selling cocaine in four separate instances in Monticello and was arrested again in 2007 for felony criminal possession of a controlled substance. In the 2007 incident Bolden had gone to the police station to ask for the return his cell phone which had been seized as evidence in a previous case. In the course of a conversation with a police officer, Bolden began rummaging through his pockets and laid several items on the counter in front of him including almost two grams of cocaine, prompting his arrest. and just yesterday Hillary said we don't need profiling or stop and frisk (for shovels with these thugs). And how would stop and frisk prevented this from happening? I don't expect an wise answer from you since your name answers it all? Important: Please read the rules before submitting your opinion. Sell your scrap gold and broken jewelry and earn hard cash sell gold today! Copyright © 1999 - 2019 VINNews.com - All rights reserved. Get a daily morning report directly to your inbox with VosIzNeias. I'd like to receive exclusive email offers and promotions. We were unable to subscribe you at this time, please try again later. We've sent you a confirmation email, please click on the link in the email to confirm your subscription.